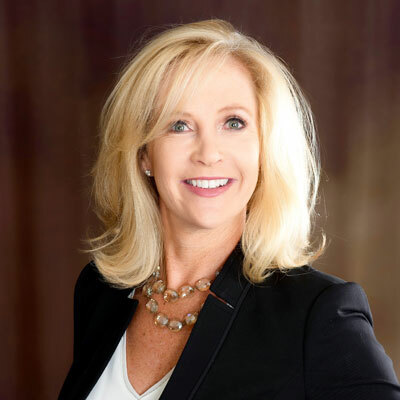 Bernadette (Bern) Richardson is a successful strategist with a defined expertise in business development for multi-million-dollar market leaders including Coca-Cola, as well as management services, operational efficiency, sales and technology solutions. As vice president of marketing for PlanetOne Communications, Bern brings more than 25 years of experience in business management excellence, including 11 years within the telecommunications industry as an entrepreneur, having served as President of TMC Communications and Director of Marketing for HCC. Prior to joining PlanetOne on 2016, she spent six years working for Public Safety Network deploying significant wireless infrastructure public safety initiatives for the State of California's 9-1-1 Office of Emergency Services. Bern graduated with honors from Pepperdine University, earning a Master of Arts degree in Business Administration. She also received a bachelor degree in pre-law from the University of California Santa Barbara and a Project Management Professional (PMP) certification from the Project Management Institute. It's my goal each and every year to ensure PlanetOne stays top of mind with today's providers, channel partners and industry influencers. We've done this by staying true to our signature white glove service levels, being consistent with our communications, and finding ways to further engage with our channel partners face-to-face, as well as virtually via social media and collaboration technologies. In 2017, 2016 and 2015, PlanetOne experienced unrivaled organic growth and welcomed a number of new Preferred Providers, as well as top-performing MSPs and agents. Through our #WorkHardPlayHard attitude, we have created a partner ecosystem that is grounded by solid relationships and significant results. Another catalyst to our success in recent years is our ongoing engagement with the channel trades, associations and other industry influencers. In 2017, our CEO Ted Schuman was named one of the Top 25 Disrupters and Top 100 executives by CRN. We were also named one of the best places to work locally for the last two years in a row, and in 2017, earned the title of one the 101 "Best and Brightest" companies to work for nationwide. Expanding our relationships with our channel partners is a top priority. We saw explosive growth in 2017, and one of the many ways we are building on this is through our PlanetOne Tech Tours. With seven stops in 2018, our PlanetOne Tech Tours attract the who's who in the industry, including the top-performing partners and executive leadership from our Preferred Providers. Held at high-energy venues such as Yankee Stadium and beautiful properties including The Phoenician, our PlanetOne Tech Tours are proven to educate, entertain and further enable our channel partners to more profitably grow their businesses. In addition to being recognized as a 2017 CRN Woman of the Channel, I also completed a half Ironman Triathlon in Cozumel, Mexico. I competed as part of a relay team with two of my close friends (they swam and biked) and ran the half marathon at the end. It was one of the hardest half marathons I have ever completed due to the combined 95-degree heat with 95% humidity. The feeling of exhaustion and elation I felt for my team when they handed me the medal was incredible! My Letterman list: 10. You'll never regret taking chances, you'll only regret the chances you didn't take. 9. This too shall pass. 8. When the going gets tough, the tough get going. 7. It's nice to be important, but it's more important to be nice. 6. Be the change you wish to see in the world. 5. Take the path less traveled. 4. Never, never, never give up. 3. Be curious; knowledge is a lifelong pursuit. 2. Enjoy the journey and be present. 1. For every minute you're angry you lose 60 seconds of happiness; embrace forgiveness. The ability to code. I don't need to build the next Facebook, but a basic understanding of how apps are built could be game-changing. Even if my career never requires it, I should know what's happening under the hood, and be able to have more realistic expectations of what is possible. I want to highlight an incredible organization, Girls Who Code -- founded five years ago with 20 girls in NYC and the belief that computing skills are a critical path to security and prosperity in today's job market, will reach 40,000 girls across all 50 U.S. states by 2019. I typically gravitate towards adventure/business non-fiction but recently became obsessed (again) with Hemingway. I read "A Farewell to Arms," an ageless story intersecting externally inflicted large-scale war and reality of life and love within its time continuum. It still resonates today with focus on hardship, grief, escapism, passionate love and unflinching view of the human condition - pain, alcoholism, obsession, and resolute acceptance. I've not been consumed emotionally by a novel in a long time and it's a testament to Hemingway's nuanced prose that he's able to capture the character's experiences and make them relatable in a timeless manner.